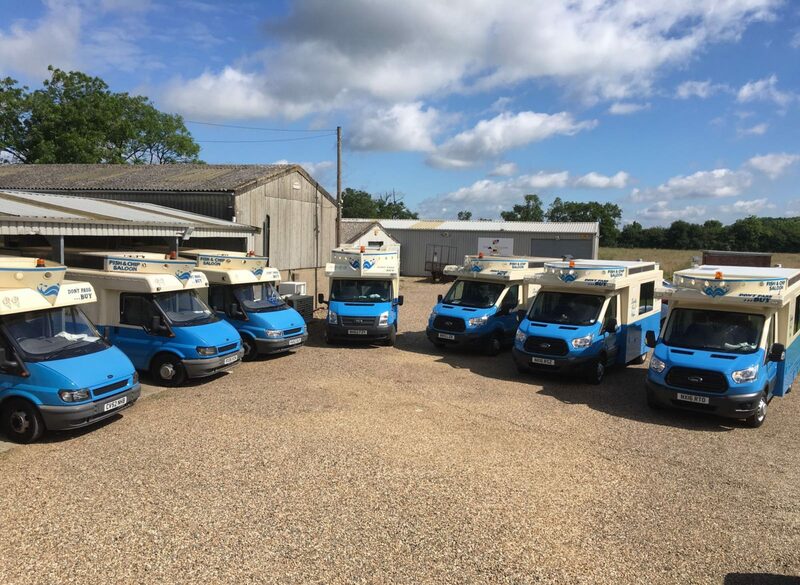 A FISH and chips van that serves Oxfordshire villages has been named one of the UK’s 10 Best Mobile Fish & Chip Operators. Howe and Co 22 have been recognised by leading trade publication, Fry Magazine, after an extensive search to find mobiles serving up the finest fish suppers. To make the list, Jamie Bachman and Charlotte King, owners of the van, had to impress a mystery diner who visited unannounced and marked the van on over 40 aspects of their business from the quality of the food and customer service to cleanliness and value for money. Howe and Co 22’s mystery diner particularly praised the quality of the fish and batter achieving 100% in both categories. The fish and chips van which is based in Little Horwood serves Horspath, Wheatley, Littleworth, Forest Hill and Thame. Mr Bachman said: “It’s a great honour to have received this recognition from such a well known magazine in the industry. Both myself and Charlotte love our job and seeing so many regular customers each week. “Our franchise has only been operating for 2 years. This award gives us an opportunity to see what we do well and also what we can improve for next year. Who's hungry already?😆 Forget making lunch as we'll be in the following areas this lunchtime serving the finest fish and chips! Howe & Co Fish and Chips Howe & Co Fish and Chips shared a post. Did you know you can call the vans ahead to pre-order? And, we accept cash & card!! Attention! ⚠️ Van 8's tracker is not functioning this evening and is showing us as still being at our depot. We are still visiting Cosgrove, Haversham and Hanslope this evening! 📍 Outside the village hall. Make your Thursday even better with a delicious fish & chip lunch! 😋 We accept both cash & card too! Happy Hump Day! 😊 Get your delicious fish & chip treat delivered hot and fresh to your street from one of our vans! To anyone waiting for us in Waddesdon this afternoon, just for this week Van 1 will be visiting you instead of Van 2. 📣 Van 3 will be trialling a new round tomorrow lunchtime - meaning they'll be in Eaglestone for longer! Listen out for the bell to make sure you don't miss your fish and chip fix 🔔 and live track the van on our website to find out exactly where we are! Howe & Co Fish and Chips Howe & Co Fish and Chips added 5 new photos.